The rise in mental health cases worldwide is a worrying trend, but more worrying still is that efforts from the medical community are struggling to keep up. 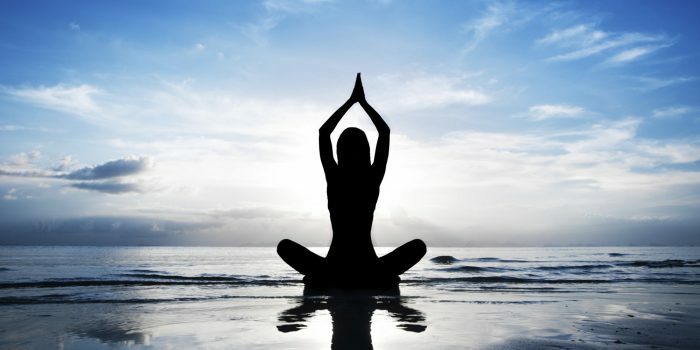 In this struggle the medical community and its patients do sometimes turn to alternative methods of treatment such as the practice of Yog philosophy. However, Yog philosophy is not a feasible cure for mental diseases and may instead unwillingly inflict more harm on the patient. This is because if a mentally disturbed patient is asked to meditate or concentrate somewhere this may cause harm because his mind and concentration have already been disturbed. Well then, how should it be cured? According to the holy scriptures Vaisheshik Shastra Sutra 4/1/3 written by Kannad Rishi, for something to happen, there must be a reason behind it. For example when a child is born, his parents are the reason for this. Similarly there is a reason behind the patient’s medical issue whether it’s depression or something else and it’s only once this reason is removed that the disease will be cured. The Rigved states that when the patient’s mind, affected by delusion, wanders hither and thither and in its unsettled state faces sorrows then it is by giving it some assurance to be away from the disease and providing it with some treatment that the patient is cured of mental disease. The mind of the patient indulges in worries that go far beyond his imagination and his wandering mind becomes desolate and contemplates death – it’s here and other similar cases that the learned doctor should give him assurance that he will not die, and get affected by any other troubles that his mind is imagining. The doctor must also continue any necessary medical treatment. Although Yog philosophy is beneficial, the patient may not be in the right state to learn it. Ideally, Yog philosophy is practiced when one is in good health, has completed the vedarambh sanskar, and from a learned Acharya of four Vedas and Ashtang Yog philosophy. It’s quite unlikely that mentally disturbed patients will meet most of these conditions. ‘Who am I’, “What is my form”, “Whom do I belong to”, “What is my name”. What this means – Human-body consists of five senses, perceptions, mind and intellect. So, I being the pure soul, do not indulge in illusion. My form is the purest form and I am immortal. I never fall sick. Its my mind, intellect and body etc which are damaged. So, the mind of the psycho-patient is disturbed and not the soul. But under the vedic law, the result of deeds is experienced by soul. So the soul, in its illusion, thinks that he is ill. So, the treatment of human-body, intellect and mind is required – and not of the soul. ‘Yog’ means the realization of God, so practice of Yam, Niyam, Asan, Prannayaam etc. is not a yog but is practice of a part of Yog vidya. There is no doubt that the practice of Yog philosophy has a healing power, but only in cases where the mind of the patient is not disturbed. Furthermore it’s important to understand that the curing of diseases is not the purpose of Yog Philosophy; it emanates from Vedas and is meant for realization of God. As Yagyavalkya smriti states- Hirrannya garbhaha yogasya vakta i.e. preacher of Yog philosophy is God Himself and not man.